This holiday project uses the greens of Christmas in Norway and Pion Design Palette. It has four pull-out drawers on the octagonal base to stuff Christmas treasures. The images around the base have such nostalgic vintage beauty! Best wishes for a very good day! Hi Karen, Just go to Taras own blog, there she has a link to her own store, where she salso sell Pions papers, and she´s in the US too, so should be pretty easy for you there. 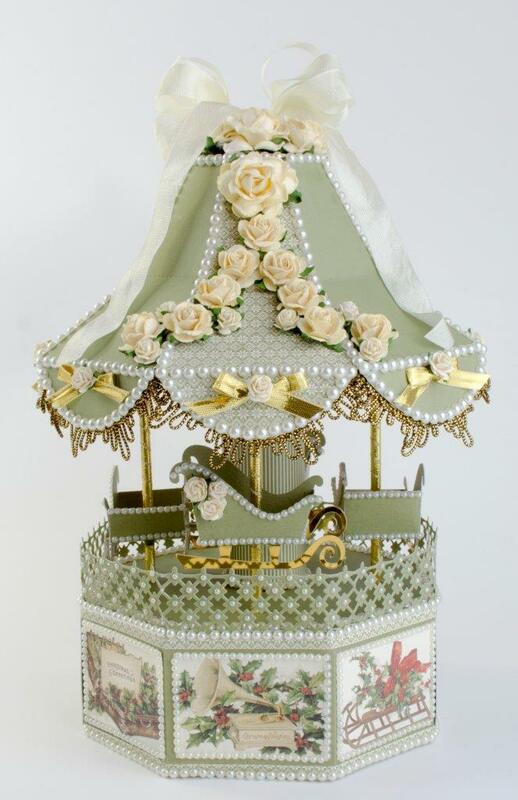 OMGosh…how creative and clever is this beautiful Merry Go Round! Drawers to boot. Love the papers you used too!